Spotted at the F1 test in Jerez. I was worried they were trying to make a marketing thing out of this with the hashtag, but it looks like it's been in use since the accident and they're just showing support. 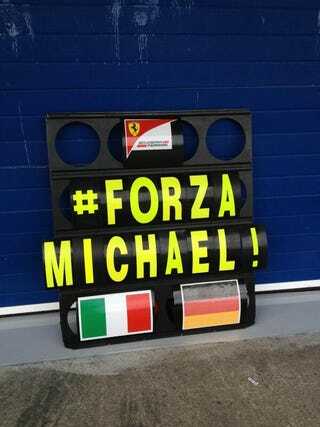 Good on ya, Ferrari.